Bloom with a new artistic quest! 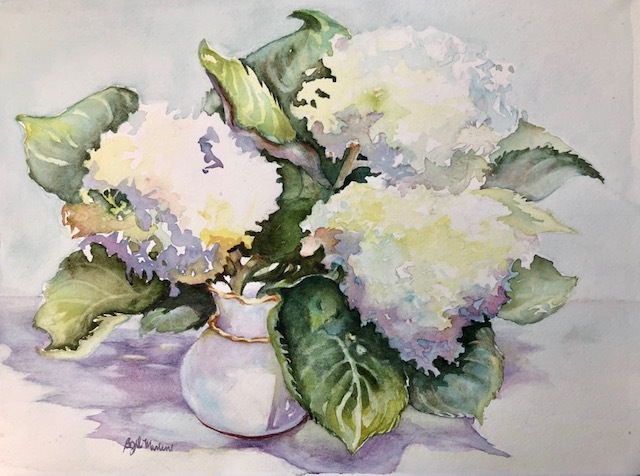 Beginning Watercolor offers a 5-week course focusing on spring gardens and April flowers. Whether you are new to this exciting medium or just wishing to “brush” up on those rusty painting skills, this is the course you have been looking for. Capture the beauty and essence of nature in glowing sun, quiet shade or a porcelain vase. This course offers basic color and light theories applicable to any medium. Expand your artistic vocabulary with living, organic forms, readily accessible to paint, and a nontoxic, portable, affordable medium: flowers and transparent watercolor.